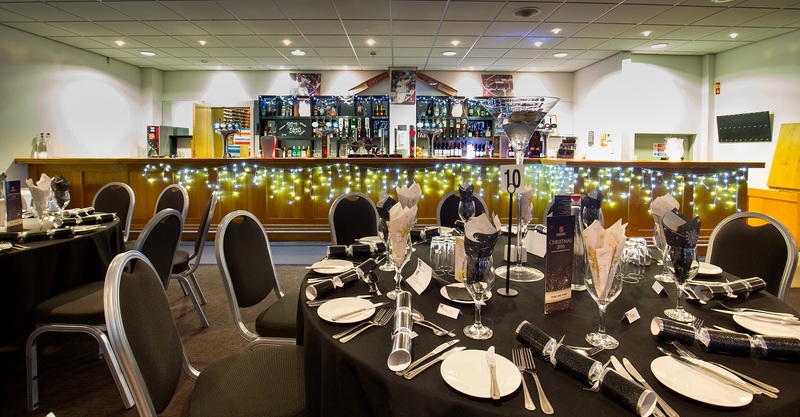 Somerset’s Cooper Associates County Ground offers venue hire with superb facilities that can be tailored to suit your needs for any event. The rooms available to hire are listed below, if you have any special requirements, please contact us and we will be happy to help. Available for Business Breakfasts, Conferences, Banquets and Dinner Parties or Events. 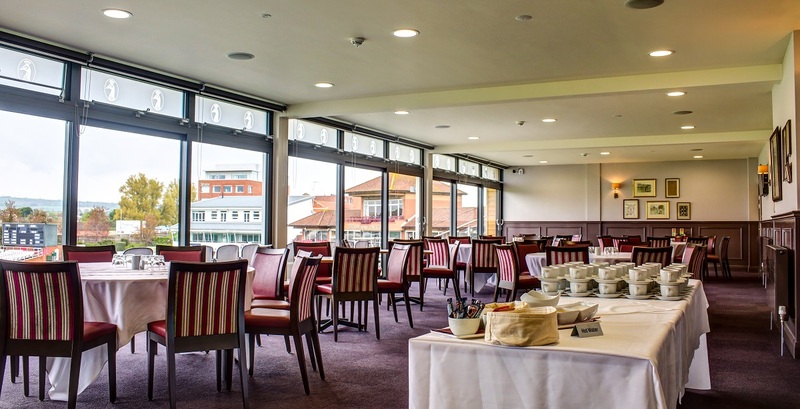 Available for Business Breakfasts, Conferences, Banquets and Dinner Parties or Events. The stylish Long Room is Somerset’s newest and most prestigious development with flexible seating for up to 300 people. The high specification interior leads through the full height glass frontage onto a breath-taking balcony, affording uninterrupted views over the tranquil County Ground and Taunton’s magnificent churches. This external calm and peaceful vista does not belie the cutting edge audio visual technology that will be installed at this venue. The Long Room will be a remarkable and unique space and will be available for exhibitions, product launches, dinner parties, wedding receptions and much more. 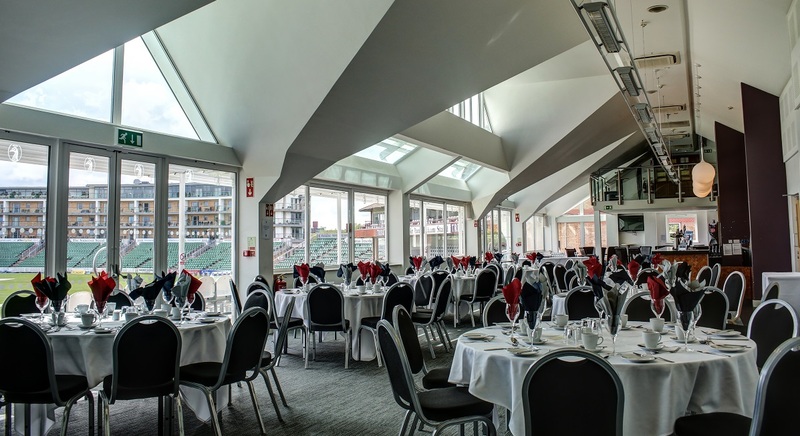 Situated on the north side of the ground, this stand comprises five private executive suites on the top floor, each with private balconies overlooking the cricket pitch. Suitable for small private meetings of up to 16 people in each suite and as syndicate rooms. The Sir Ian Botham stand meets disabled regulations. The new Somerset Pavilion is a new £3.9 million building that was opened in 2015. Tiered ground floor seating with concessions and toilets. A café bistro located on the ground floor. The 1875 Club and five exclusive boxes on the first floor. Top floor seating with concessions and toilets.